If there was a tick sheet of things a tourist or traveller would want from a place based purely on aesthetics, it would probably run something as follows: big blue lake, idyllic island, iconic church, domineering castle atop a hill. 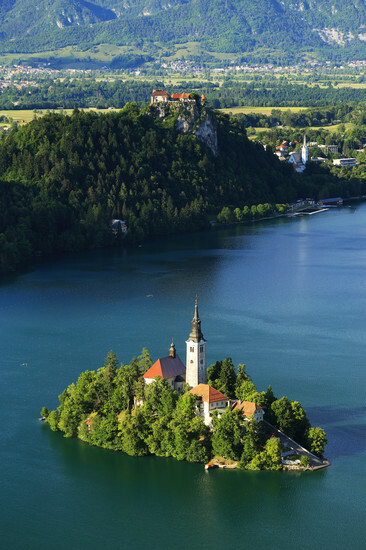 Lake Bled has all of this, with the added bonus of the fairy-tale church sitting proudly in the middle of the island. 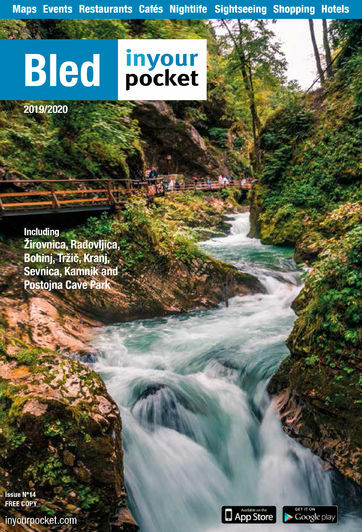 It is among the most popular places to visit in Slovenia, and for good reason. 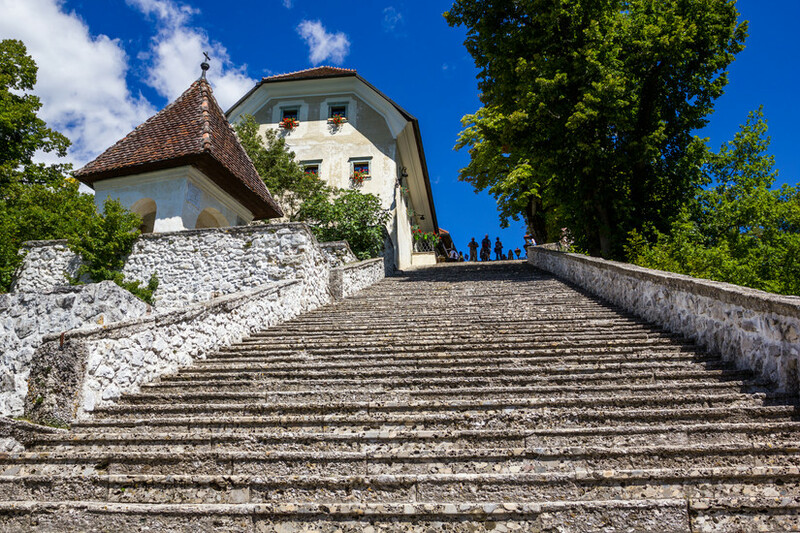 As picturesque as a destination can be, Bled is one of the most striking Alpine resorts going and offers something for all manner of visitors, be they old, young, those in search of activity or in need of relaxation. It truly is the dictionary definition of serenity. 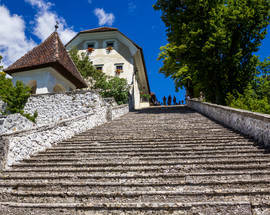 Slovenia’s only island is the focal point, a small haven with the quaintest of churches dominating the scene. Learn about the history of time telling in the separate Bell Tower before tasting some traditional potica, a pastry nut roll with no end of fillings. 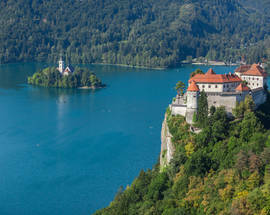 Some 600m above the lake we find Bled Castle, the oldest in the country, keeping an ever-present protective watch over the lake. 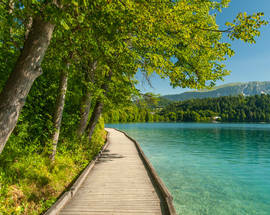 Of course it is the lake that steals the show, with glistening blue-green water that must be seen to be believed. A 6km long path winds around it, providing one of the most tranquil walks we’ve ever taken. 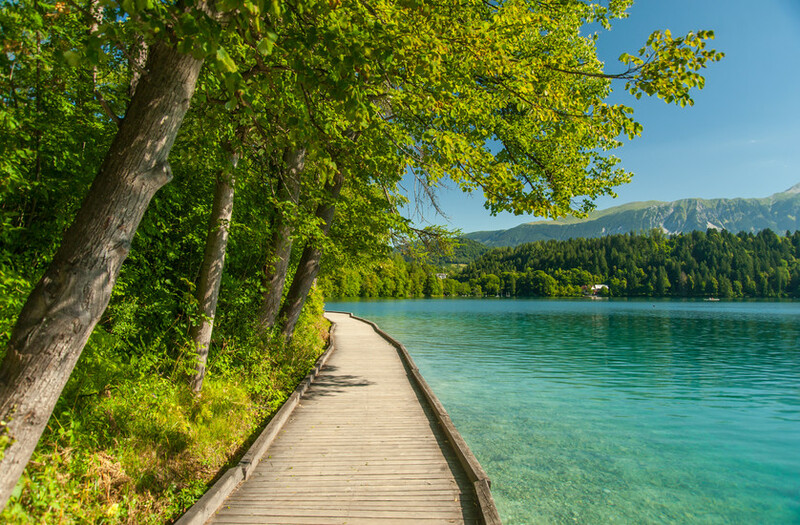 Indeed, there aren’t many more relaxing experiences than a slow stroll in the sun as the Alpine mountains reflect off the picture-perfect lake. 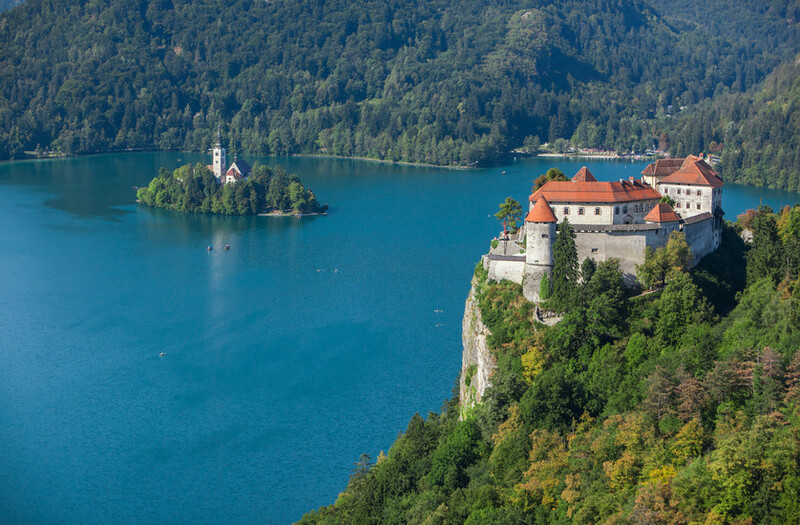 One last thing: don’t be put off by the ever-growing number of tourists visiting, Lake Bled deserves every visitor it receives, while still rewarding each with some of it's own special magic.